THIS picture puts it all into perspective for Perth�s white-collar brigade sitting at their desk today and proclaiming: �Thank God It�s Friday�. How does their day job compare to these blokes, who are spending Friday installing new panes of glass about 30 floors up on a new Barrack Street skyscraper. 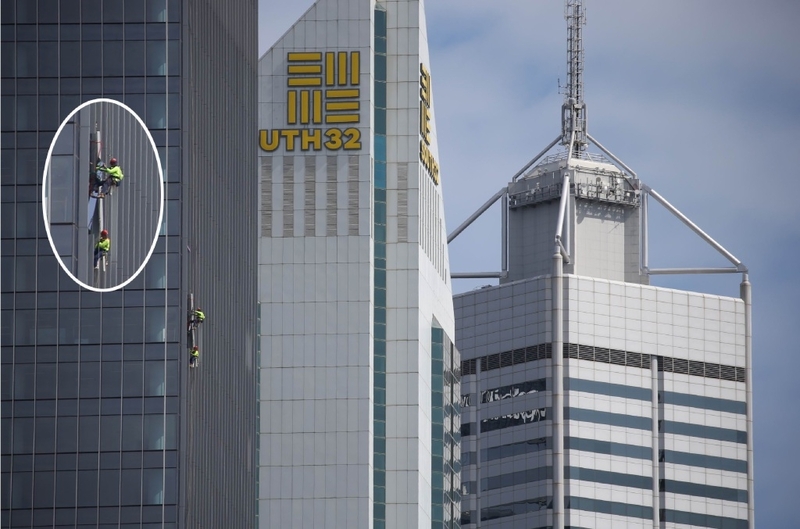 Perth city workers who caught a glimpse of the men strung up on the outside of the high-rise tower, and hard at work, certainly have no reason to complain about today�s to-do list. Photographer Andrew Ritchie from communitynews.com.au captured the action while on assignment in Perth city this morning.